We cook outside. The process of it forces us to slow down and enjoy life because we know that it's easy to miss out on the good stuff. Moving fast is often ok – necessary even (if you are cooking burgers.) But unchecked, fast can lead to inferior products and unsatisfying experiences which is why we cook our meat slow and pour each cast aluminum PK by hand. We have noticed a change in the air as peoples’ tastes turn back toward living more balanced lives – outdoors, with friends and family – investing in good things and keeping them longer. Our mission is to create products that reflect those shared ideals. It all starts with the food, from the alchemy of a great dry rub to the subtle and patient process of slow cooking a fine cut of meat. We cherish the memories and amazing food we make with our PK’s in our backyards, on the water, at a football tailgate or campground. This is the tradition of PK dating back to 1952, but what it stands for is alive now more than ever. 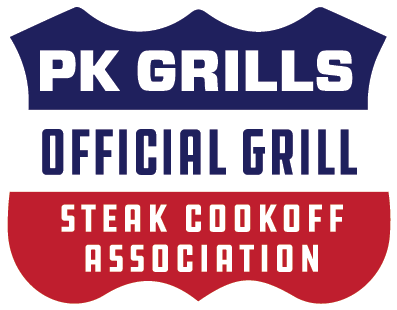 By the late 1990’s Portable Kitchen cast aluminum grills had not been readily available for sale for over twenty years, however the venerable durability of the classic PK grill ensured that thousands of them still existed in perfect working order when a local attorney stumbled across one in Little Rock, Arkansas. Paul James found the yard sale PK to be fully functioning. After cooking a deliciously moist pork shoulder for his family and a gathering of curious neighbors, he was compelled to commission a mold of the old cast aluminum grill which he then used to begin producing the PK Grill & Smoker again. Almost forty five years to the day after the first Portable Kitchen grill popped out of its mold in Tyler, Texas, Portable Kitchens was back in business with the PK Grill & Smoker. In 1952 the PK Grill was the best outdoor cooker money could buy and we believe that it remains so today. We make PK’s because we appreciate quality ourselves. We make PK's because we personally think it's cool to produce a consumer product that lasts for generations and is less likely than our competitors to end up in a landfill. We make PK’s because we enjoy the experience of cooking awesome food outside with our friends and family. We make PK's because we love to hear the stories from our customers around the world. We are proud of, and stand behind, every single PK we make.